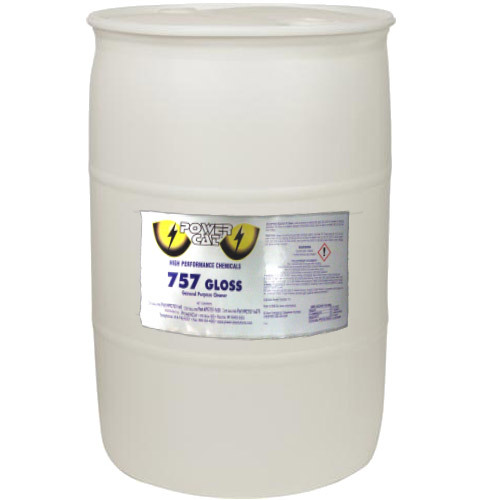 757 Gloss Floor Cleaner is a high gloss detergent designed to dry to a bright shine. It is ideal for use on finished surfaces, tile, epoxy, or enamel. The special formula removes scuff marks and dirt, while leaving no light-robbing residue behind. The result is a clean, non-slip surface, ready for immediate use. This product is water dilutable and is safe to use on most surfaces.